However, one thing about Eclipse Android development has bothered me for a while - and that is XML formatting by the visual tools. See, if you open an XML file in Eclipse and use the Layout/Resources tab (which functions as either a visual UI builder or a visual frontend to resource management), Eclipse creates the XML representation of what you're building and dumps it into the file you're editing. The problem is, this XML is not formatted in any way - Eclipse just writes it in a single line, which looks absolutely horrible and is essentially unusable. 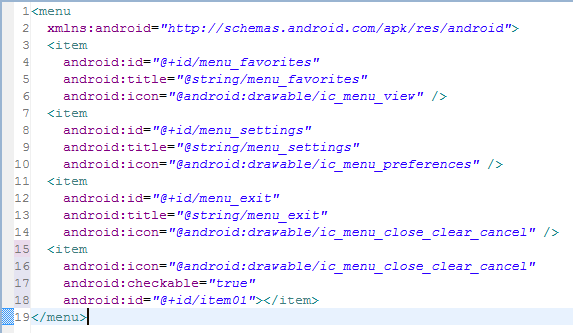 For example, I had this beautifully formatted XML file with a sample Android menu. After using the Layout tab to add another item, I ended up with an single ugly unindented line for it. Here's how to solve this in an almost fully automated fashion, using formatting rules that I think result in the most readable file. There is no need for external tools - Eclipse provides everything needed. It's a beauty, isn't it? 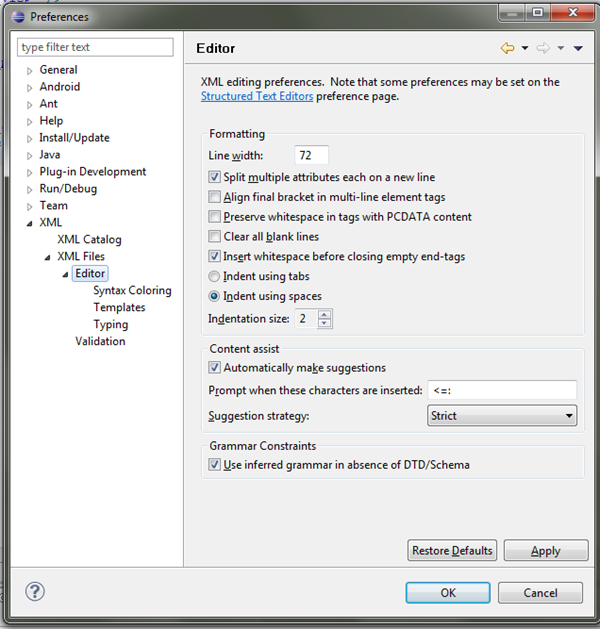 Eclipse's Auto Format is one of its best features (yes, you can apply it to your Android Java code too as well as pretty much any other document format). 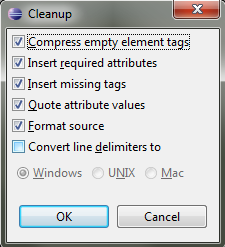 The first option compressed the <item></item> declaration to simply <item />. Neat, isn't it? + Use Ctrl-Shift-F and make it a habit. + Create a keyboard shortcut to the Cleanup function by going to Window->Preferences->General->Keys and use it instead of Ctrl-Shift-F (since it already formats as part of the Cleanup).
? I'd like to know if there is a way to apply auto formatting upon save, automatically. Do you?